If the video does not play on your device you can see it on YouTube if you click here. This is Sassoon's "General"again. It has been beautifully read by my friend Nigel Pascoe so I am not apologetic about it being on the blog the time before last.. It's an impressive poem and an impressive reading too. My father H E L Mellersh fought in the war near Fricourt on the Western Front a few miles from where Sassoon also fought. NEWS! 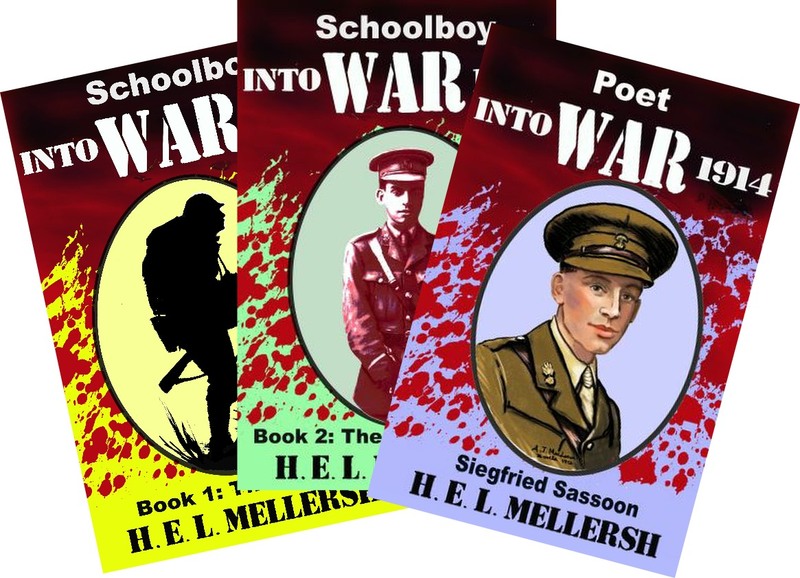 My father's two books about his World War I experiences along with his book on the life of Siegfried Sassoon have been published as ebooks in the last few days. So now you can buy them at a fiver a time they are well worth a read. The covers for the newly published e-books. Jeanie Mellersh designed the covers.